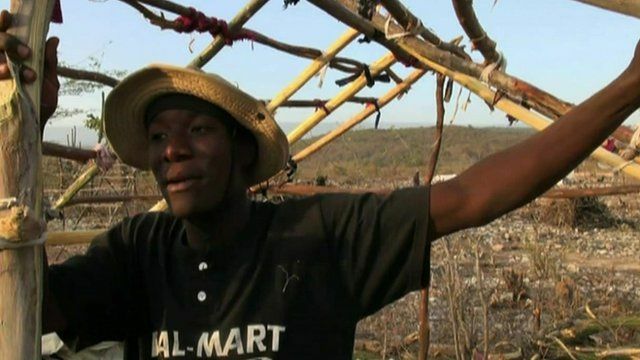 Refugees make camp on Haitian border Jump to media player The Haitian government is calling on its neighbour the Dominican Republic to delay plans for thousands of Haitians to be deported, but a crisis is already brewing on the border. Warner investigated over Haiti money Jump to media player The BBC can reveal that the former FIFA Vice President Jack Warner has been investigated by US prosecutors over the disappearance of money meant for victims of the Haiti earthquake. The Haitian government is calling on its neighbour the Dominican Republic to delay plans for thousands of Haitians to be deported to the country as they try and make arrangements for their return. Along the border, many people have already decided to leave and are living in makeshift camps that experts fear could develop into a humanitarian crisis. Nick Davis reports from the border of the two countries that share an island.